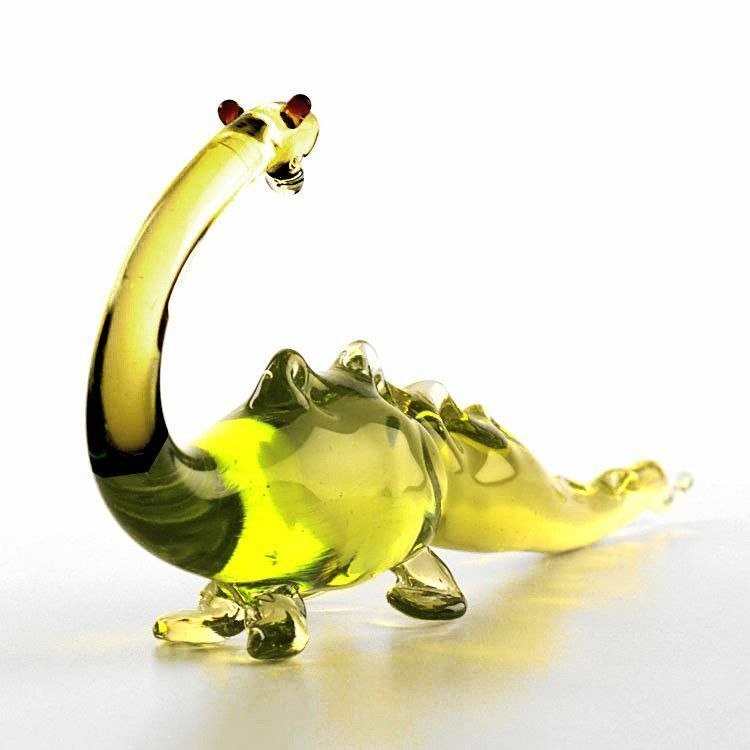 This cute dinosaur glass figurine was hand blown and imported from Russia. 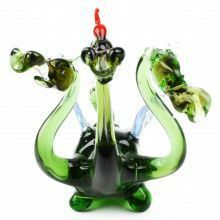 It is a light green hue, about 5" long, and about 2" tall. 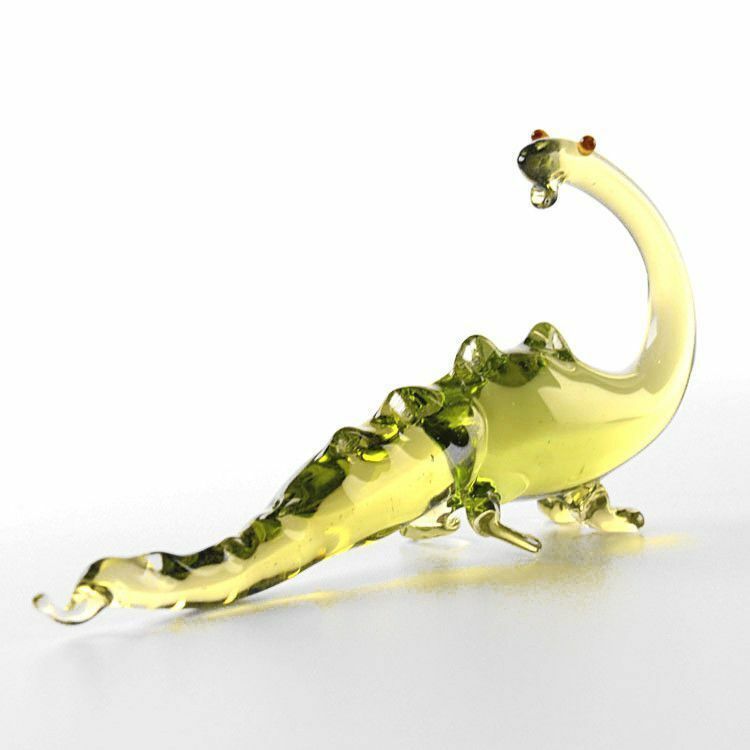 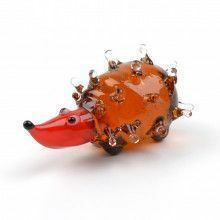 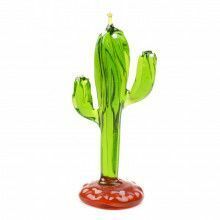 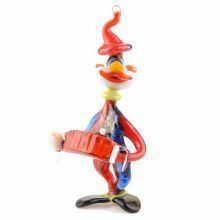 Because each figurine was crafted individually by a glassblower, no two are exactly alike.